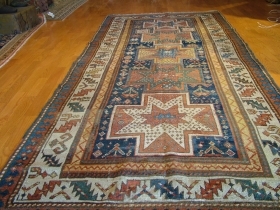 Caucasian Kuba Karagashli Rug, 5.3 x 3.4 ft (161x104 cm), second half 19th century, very good and original condition. 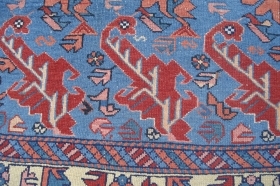 An early and fine Moghan-Savalan sumak khorjin face. 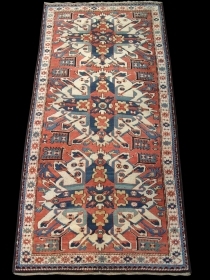 Caucasian Shirvan Kuba Rug with unusual design and proportions (original), 56x43 inches (142x109 cm), late 19th Century, good condition and colours. 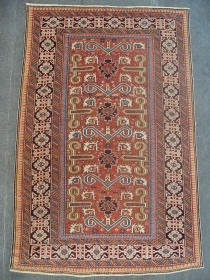 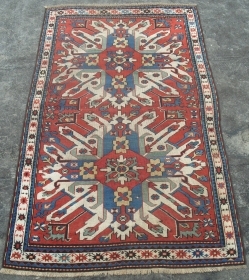 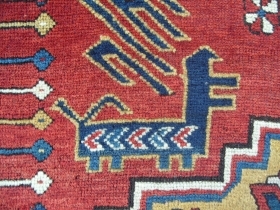 a Kazak Rug, 7' 11" x 3' 10", in fine condition, dated 1312ah/1894ad, with a dramatic "crab" border. 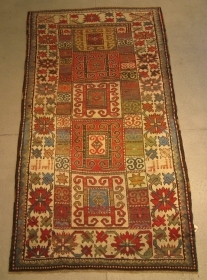 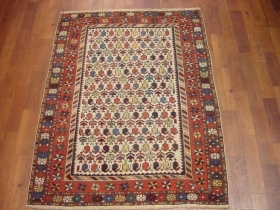 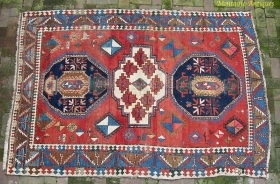 Caucasian Seichur Rug, Excellent Condition, No Repairs, mid 19th Century. 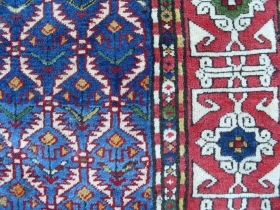 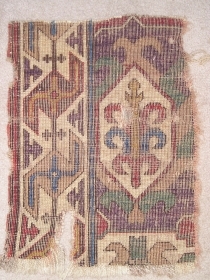 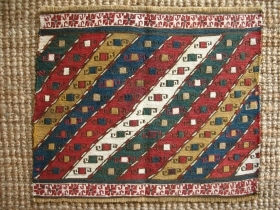 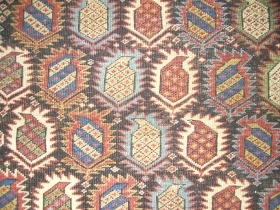 Pair of XIXth c. Armenian flatweave panels. 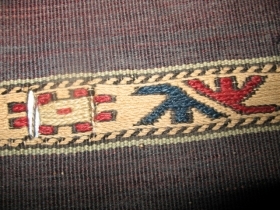 Fine and light. 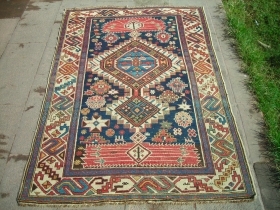 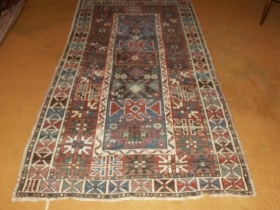 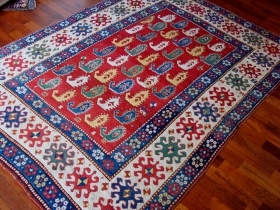 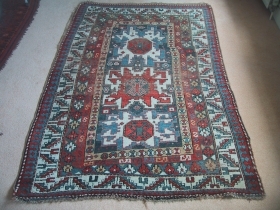 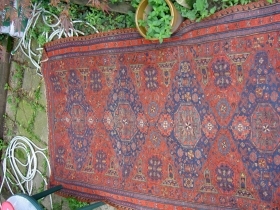 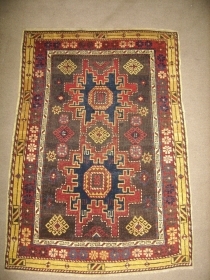 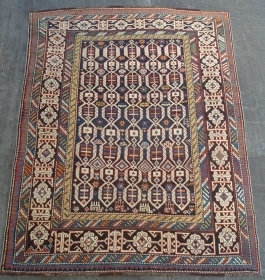 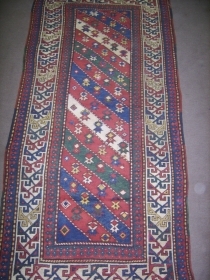 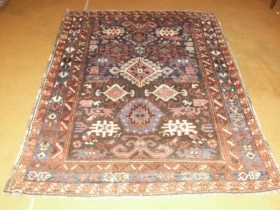 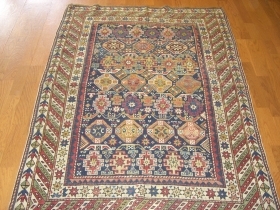 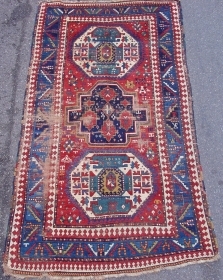 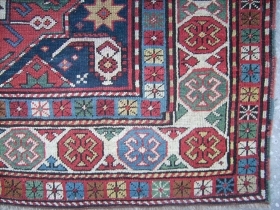 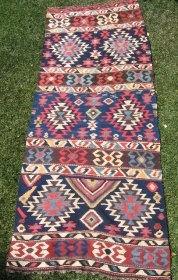 Caucasian Verneh,good condition and colours,fine weave,vegetable dyes,one small old repair.Excellent price.Size 8*5ft. 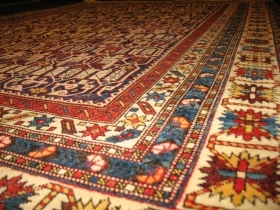 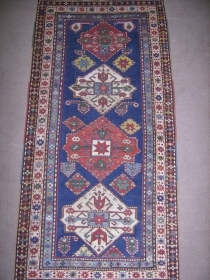 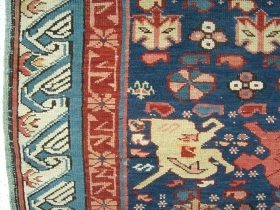 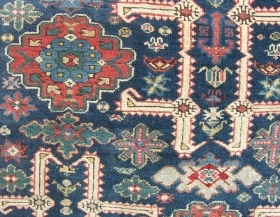 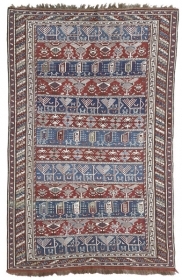 An Antique Caucasian Shirvan Rug, dated in several places. 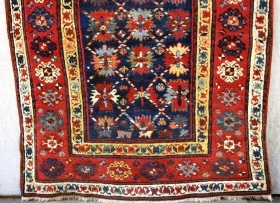 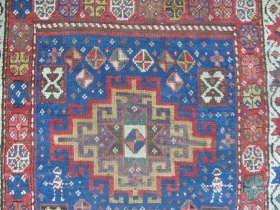 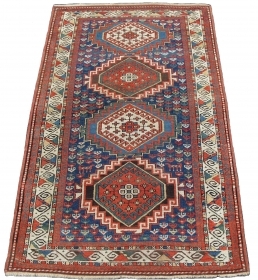 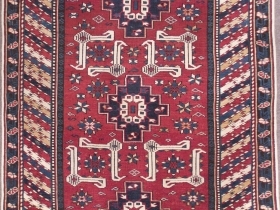 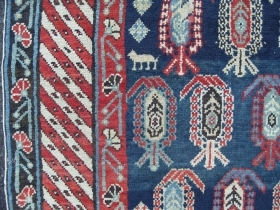 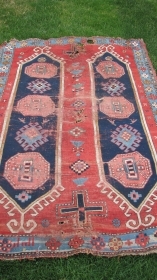 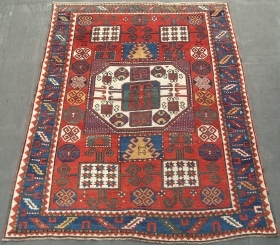 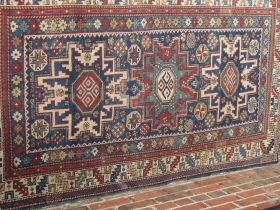 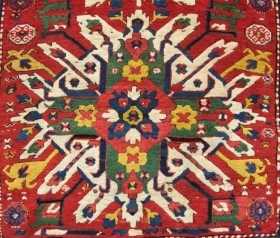 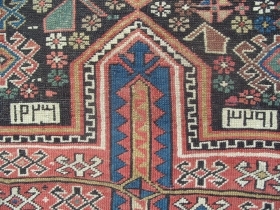 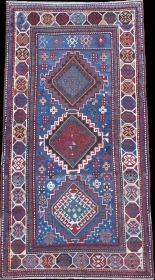 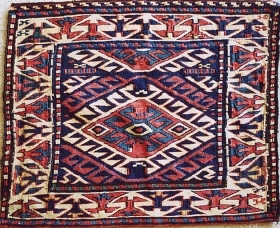 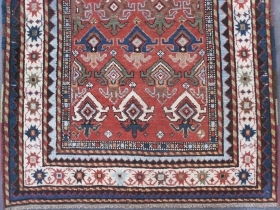 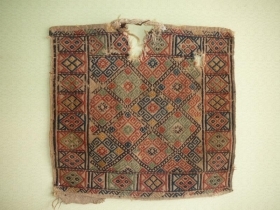 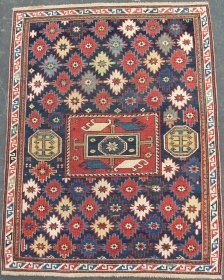 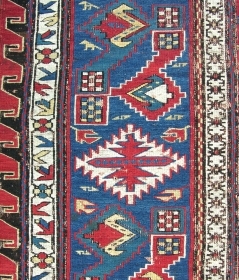 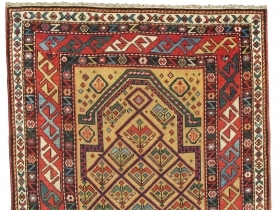 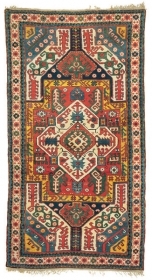 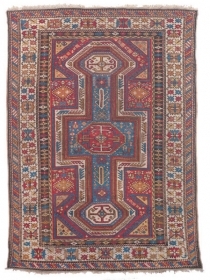 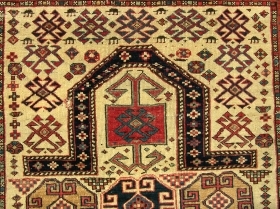 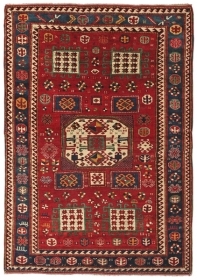 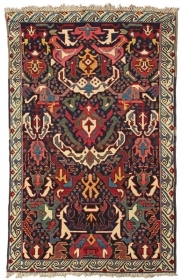 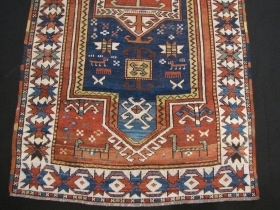 a Chelaberd Rug (so called sunburst or eagle kazak), Karabagh Region in Southern Caucasus, late 19th Century, 4.5 x 7.2 ft. 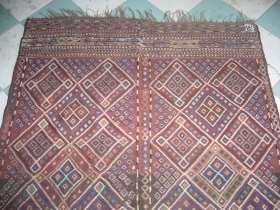 Antique shirvan ,need very little repair on fringe ,circa early 1910 .more information please contact or email . 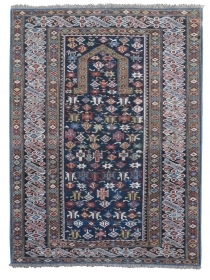 kazak, turn of the century, 105 x 175cm, 3'5" x 5'9"